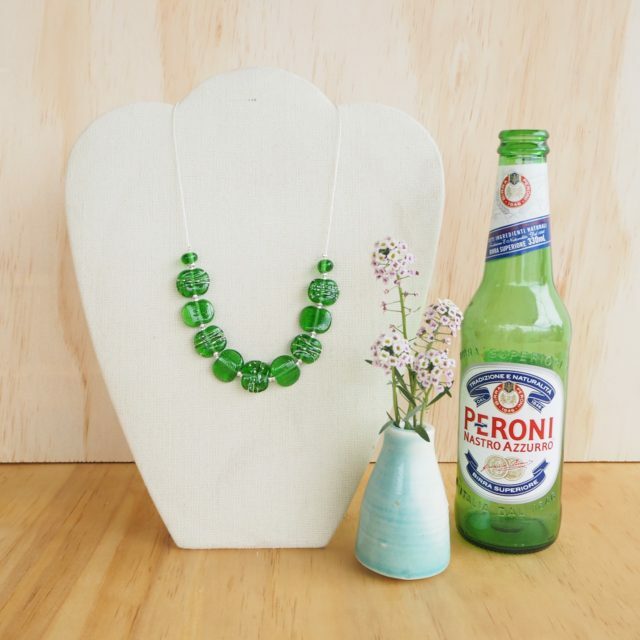 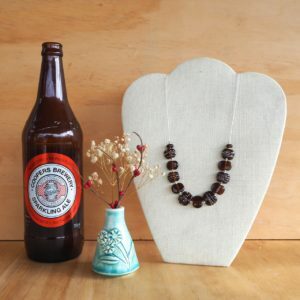 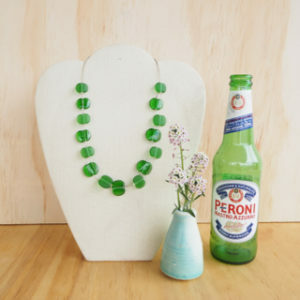 I made the beads for this necklace from a Peroni Beer Bottle, making it a real talking point. I have embellished alternate beads with fine silver wire, really adding to the sparkle of this necklace. 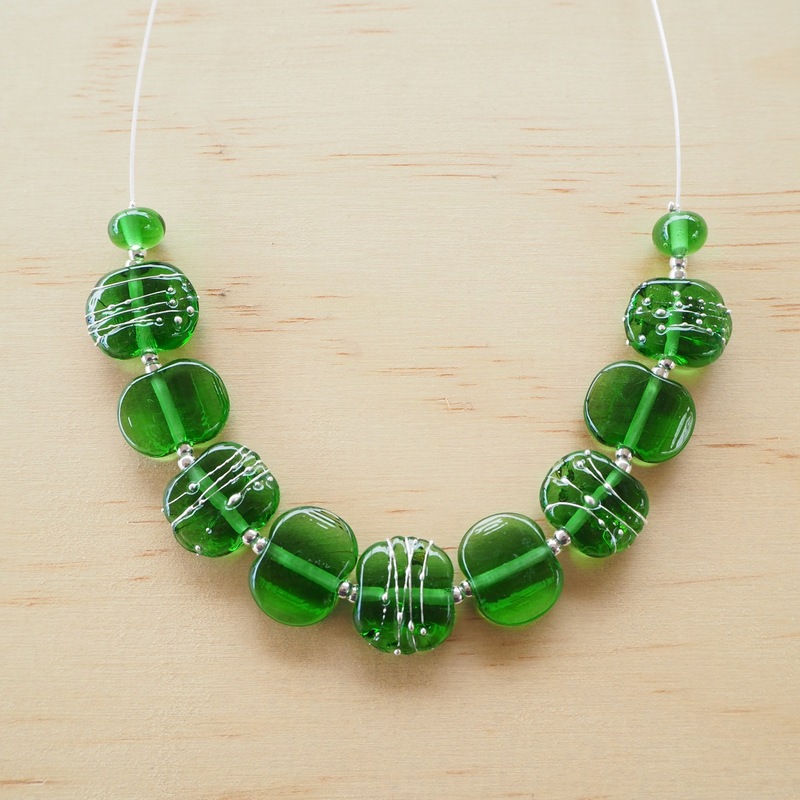 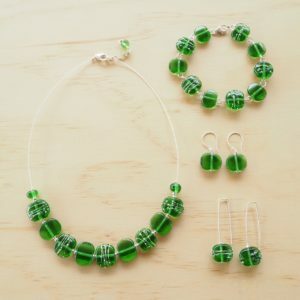 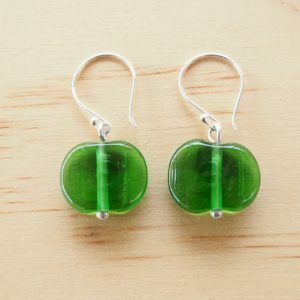 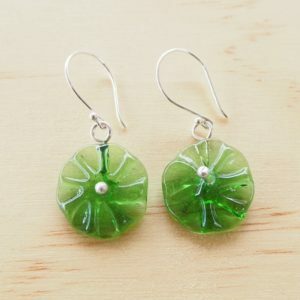 If you like green, this necklace is for you. This necklace will be sent wrapped in tissue, an organza bag and a padded envelope.